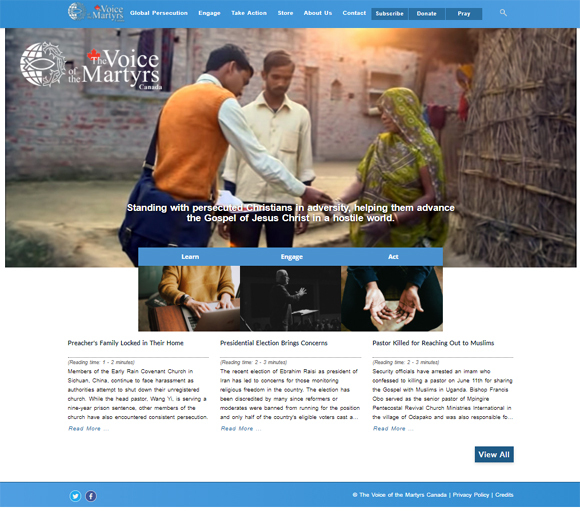 This is now the fourth edition of the website for The Voice of the Martyrs Canada from JimBits Solutions. This is a huge project with hundreds of pages and integrating multimedia throughout the website. The website is primarily built on the Joomla platform for its article-based structure, but also integrates WooCommerce on WordPress for eCommerce and phpList for bulk emails. The site also utilizes Vimeo video services and integrates with their banking portal for online donations and purchasing resources.